Why Have a Metal Credit Card? 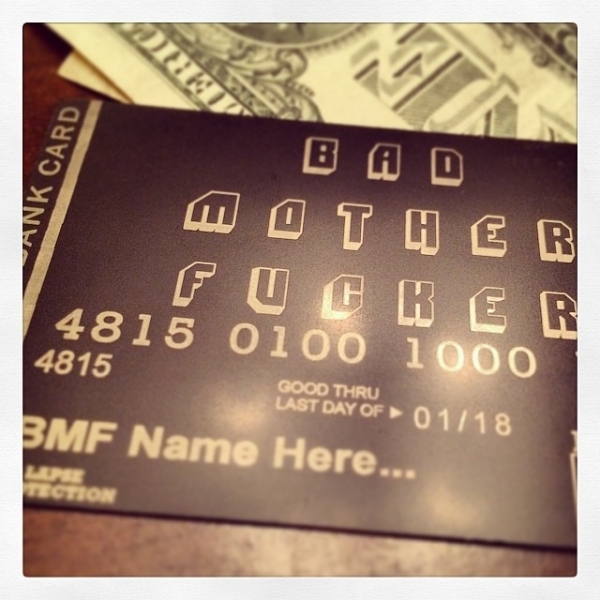 Owning a metal credit card or metal debit card exudes an air of status. Here at Metal-CreditCard.com we are firm believers that: You create your own status in the way you present yourself. Drop (lightly!) 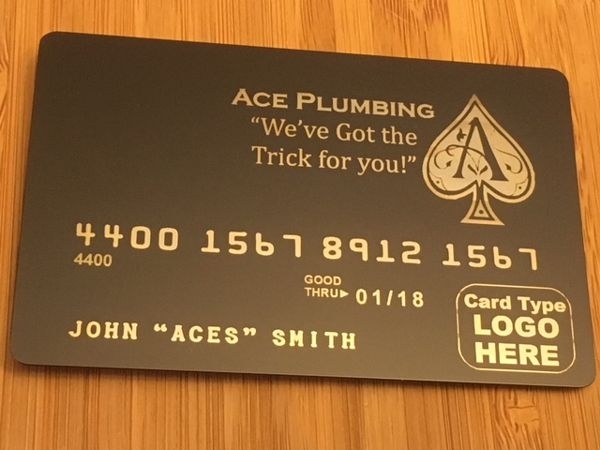 a metal card on the counter of any establishment and gauge the customer service. We are certain you will experience a difference. 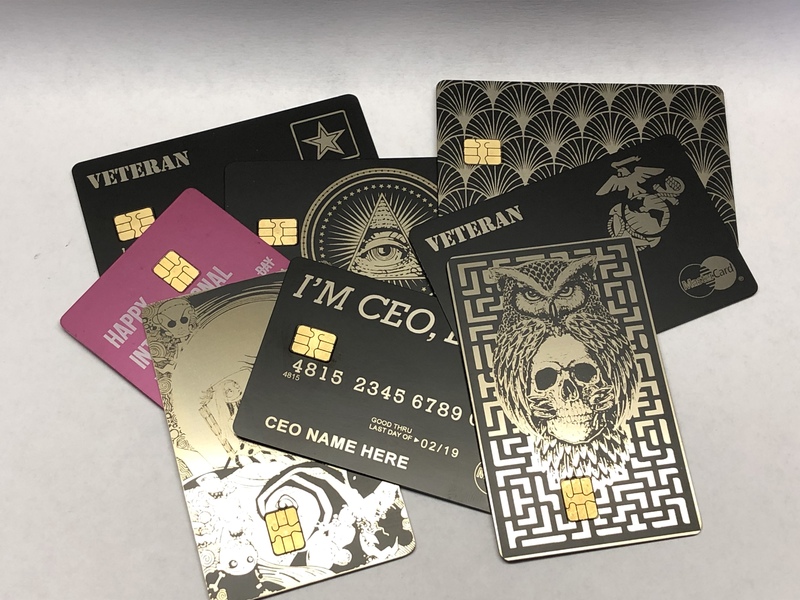 Why Upgrade Your Plastic Card to Metal? There are plenty of reasons why, first of all durability. Clients will never snap a debit card in half again. 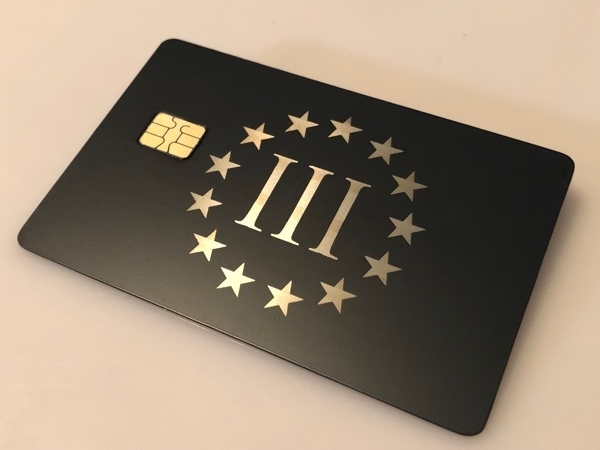 Exclusivity; we are not saying luxury metal credit cards do not exist, they do, but they are generally not a purchasable upgrade. A perfect example: The American Express Centurion with a $7,000 initial annual fee and an estimated 100k users in the United States. 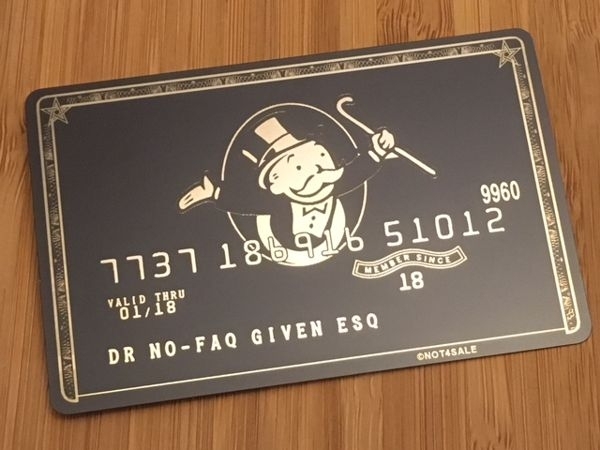 The card is somewhat exclusive. Other luxury metal cards do exist. But expect an application process. As well as a credit check, an asset check, a background check and possibly a prostate check. 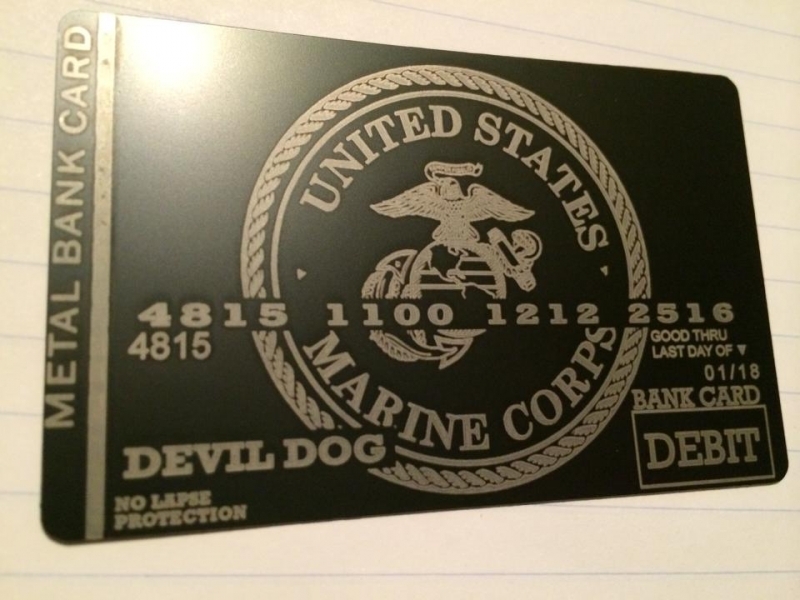 With metal-creditcard.com you create a custom engraved metal card with your own personal flare. Making it one-of-a kind. Card durability, exclusivity, and perceived status all seem like great reasons why you should upgrade from plastic. Don’t you think? We do. We are the world’s first service upgrading plastic debit & credit cards to metal. As well as the only service of its kind accredited by the California BBB since 2015. 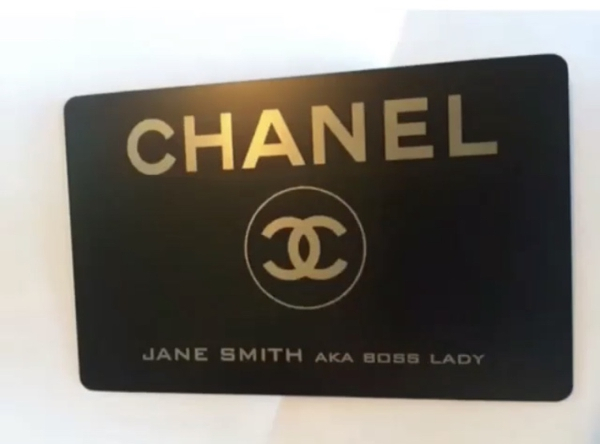 Our specialty is custom engraved metal cards. 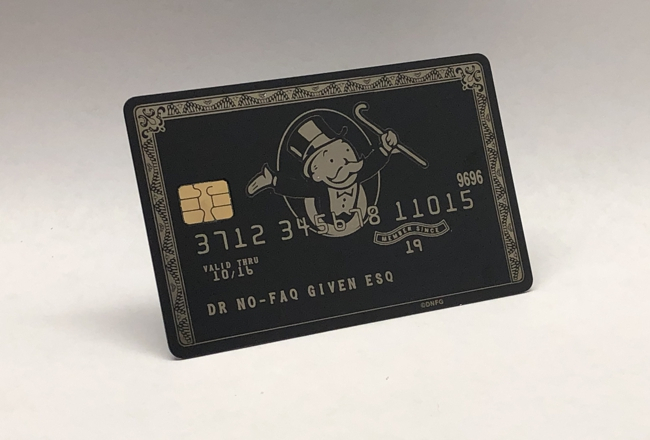 Our service offers clients, with the help of trained artists, the option to personally design a custom made extension of their existing debit or credit card. 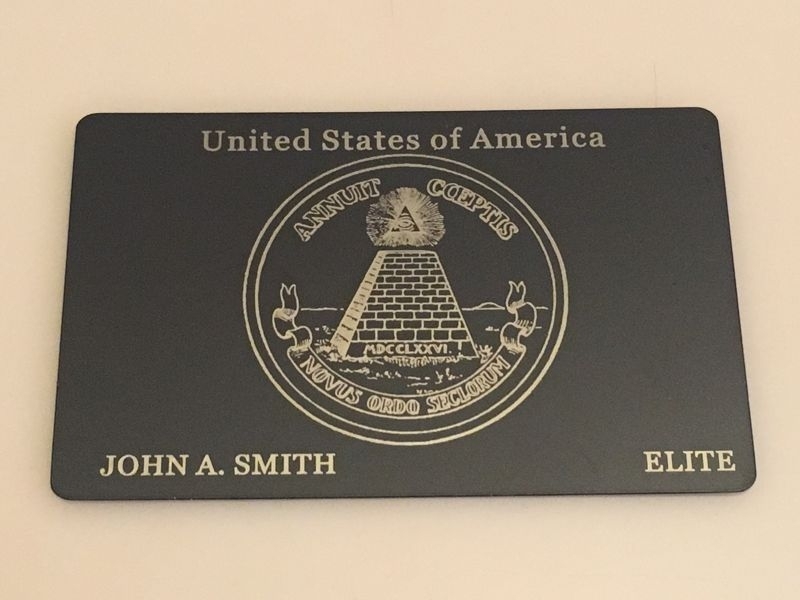 U.S. clients are shipped free security envelopes to process their orders. All clients are required to send an unactivated or frozen/locked card for processing. Please note: Clients have the option to request an unactivated replacement card from their bank. Most importantly, we require clients to do this to ensure the security of their card information while in transit to our processing laboratory. For clients working with our design teams, once their artwork is created and approved, it is forwarded to our laboratory, then laser engraved into a stainless steel metal card. The new metal card magnetic stripe is then linked to the original plastic card. And lastly, the active EMV Chip from the plastic card is transplanted into the new metal card. Upon completion of the order, both cards are then returned to the client within *2 to 3 business days by USPS Priority mail with tracking. Metal-CreditCard.com helps clients create the best credit card or debit card they have ever owned. 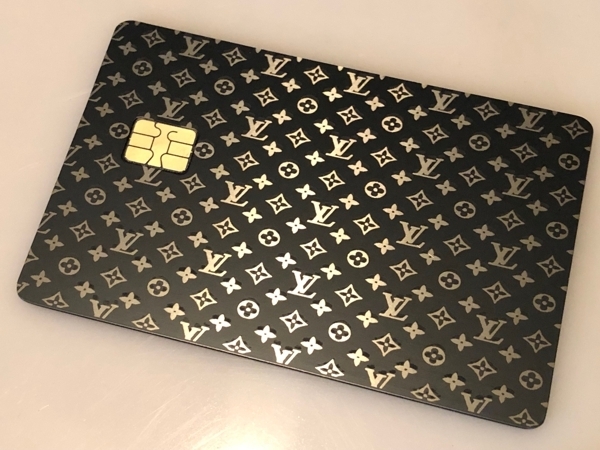 By upgrading any plastic, no annual fees, card they already own clients can enjoy the best of both worlds: luxury metal card status & no additional annuals fees.